I’m pretty excited about this dupe because Deborah Lippman’s “Ruby Red Slippers” has always been my all-time FAVOURITE colour from her collection, so I’ve been on the hunt for a dupe for at least 2 years. 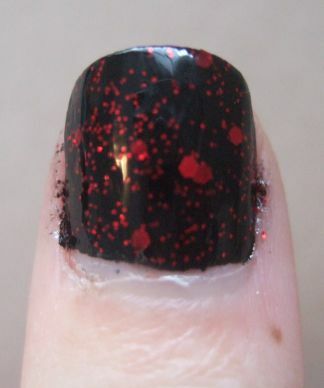 “Ants In My Pants” is a black sheer/jelly base packed with bright red micro and hex glitters. Because the base is a bit sheer, to get similar results to “Ruby Red Slippers” I had to layer 2 coats of this over a black polish – but hey, it’s small price to pay to get the best Deborah Lippman dupe results. “Ants In My Pants” is from the Spoiled line from the Wet N’ Wild collection, which I got from the CVS in Buffalo, NY, for about $2. 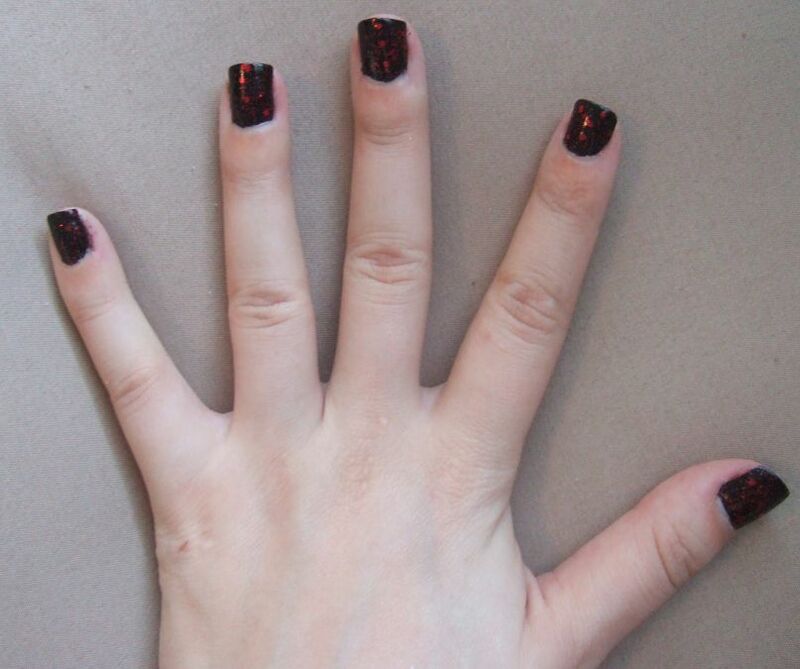 Pair that with any basic black base (I used Pure Ice (980 CP) “Black Rage”), which will add on another $2, you can get this dupe look for $4 total, in comparison to $20 for the Deborah Lippman bottle. 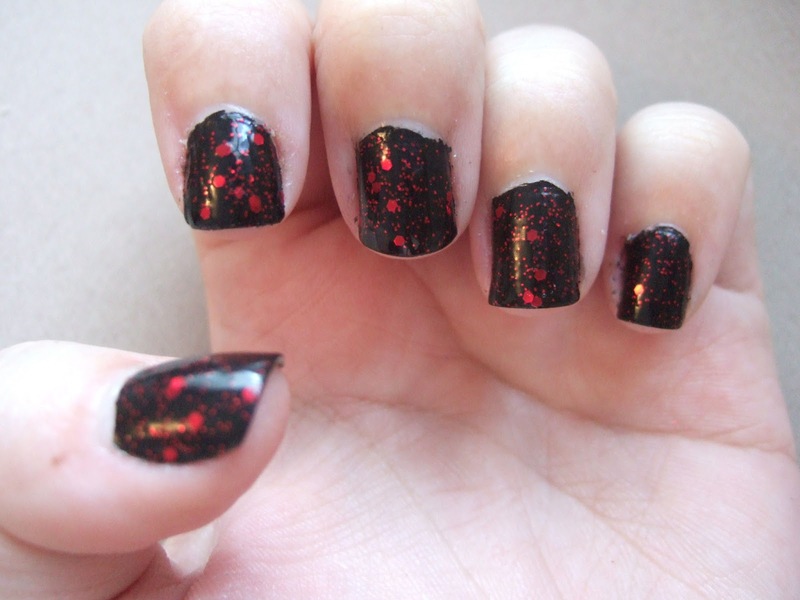 As with all chunky glitters, I suggest you top this look off with a clear topcoat to give it a smooth, shiny finish. Verdict – Get it. Especially since this is my all time favourite colour combo, black jelly base and red glitter, I’d say to absolutely Spoil yourself (pun intended), and buy “Ants In My Pants”. 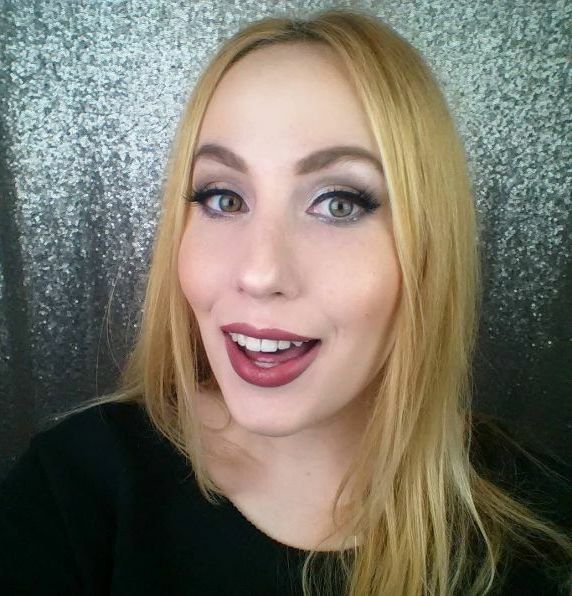 It is such a convincing dupe of the pricier one, the only way to tell the small difference between the 2 brands is to hold swatches of them next to each other, and REALLY try to find a difference (DL is packed with a little bit more glitter than the dupe, but not $20 dollars worth). All in all, I’m SO happy I finally got my hands on this dupe – if you find yourself at a CVS, I encourage you to pick up a bottle from the Spoiled collection.